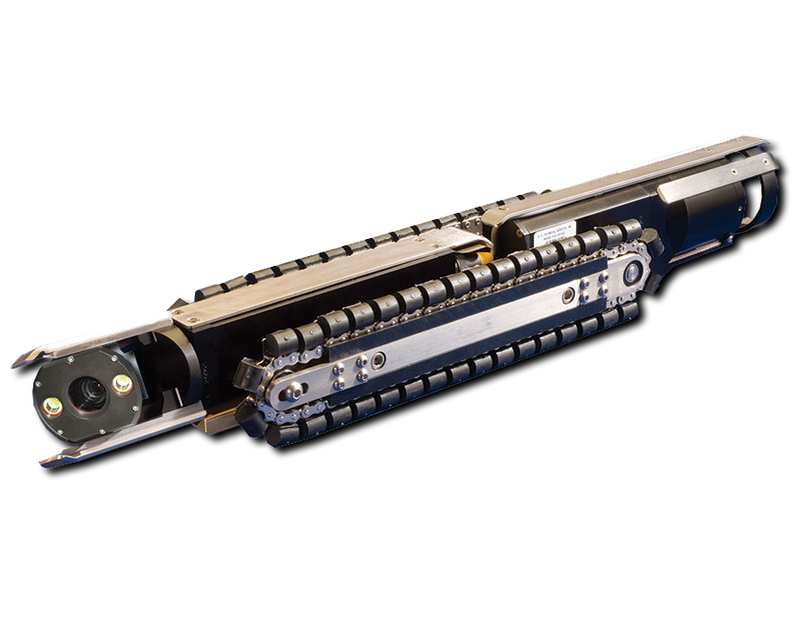 The ProTrak is designed to carry all Subsite mainline systems in line sizes from 6 to 30 inches with axle and driveline extensions. Fits in re-lined 6-inch pipes or larger. Power to easily pull 2,500 feet of single-conductor cable. Ultra heavy-duty treads use #40 chain for durability and strength and still fits in 6-inch pipeline. Internal clutch release system for high-speed retrieval.